Home » Tech In Sport » DStv Takes Swipe At Kwese For Lack Of Content; Will The EPL Continue To Fuel DStv’s Supremacy? 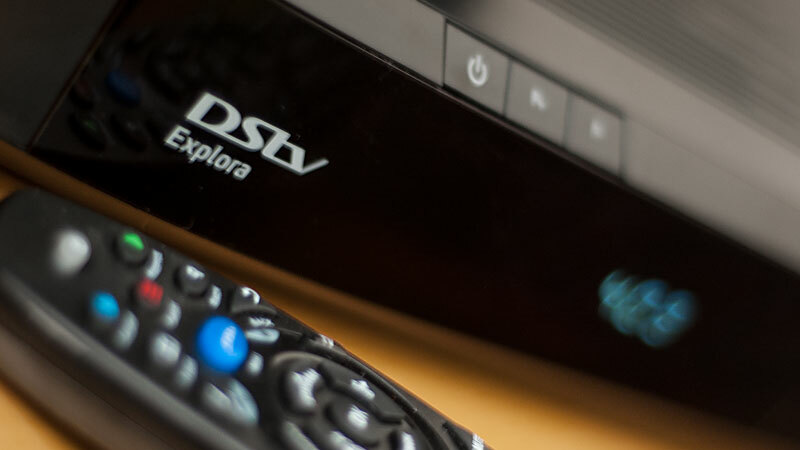 DStv Takes Swipe At Kwese For Lack Of Content; Will The EPL Continue To Fuel DStv’s Supremacy? With the football season right around the corner, DStv is taking the chance to brag about its more varied content line-up with both hands. 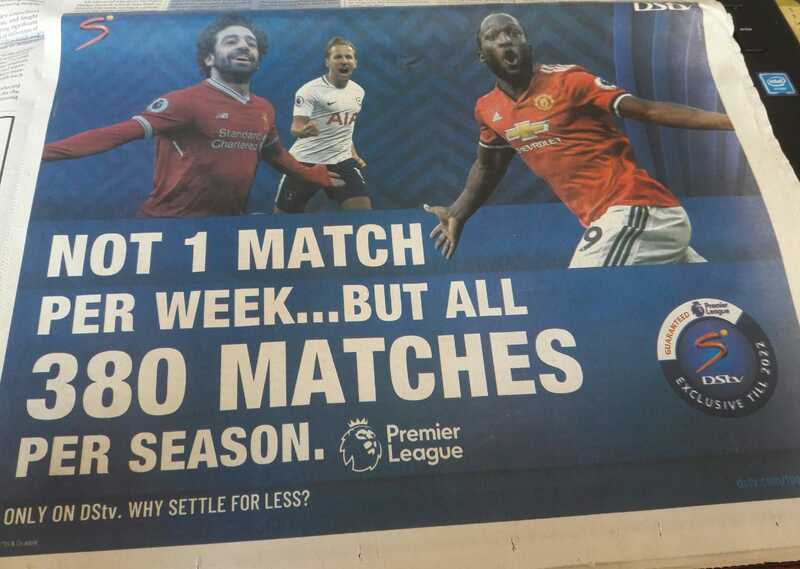 The satellite broadcaster has put up ads on the popular English Premier League (EPL) and they also took the opportunity to remind you of the fact that their local competitor, Kwese is still far behind when it comes to content. DStv has exclusive rights to the broadcasting of the EPL for the foreseeable future (2022) and because this is the case, competitors such as Kwese are not really in a position to compete when it comes to their live football offerings. With DStv broadcasting 380 matches per season, Kwese essentially broadcasts ten times fewer matches than it’s competitor. If this was any other football league you would think this gap doesn’t mean much but when you consider the fact that it’s the most widely watched league on the entire planet, the difference is huge. Many Kwese vs DStv debates in the comments boil down to “as long as Kwese has no decent football coverage they won’t get a dime from me.” Many will make the argument that Kwese is payable in Bond notes and also that it is far cheaper but so far this does not seem to be helping their case to dislodge DStv as the dominant broadcaster. We don’t have solid numbers to compare DStv and Kwese in terms of subscribers but from the conversations I’ve heard the general consensus is that Kwese has a weaker content roster and this will continue to plague them. Does this mean Kwese is resting on their laurels? Not necessarily. In terms of football content; Kwese secured the rights to broadcast the French Ligue 1 until 2024 and with stars such as Neymar, Cavani and Mbappe who all are recognized names this may help their case and they may acquire more subscribers because of this. But this move also comes at a time when DStv secured rights to broadcast the Italian Serie A so it seems Kwese really cannot catch a break. The Serie A is not usually followed avidly but with Cristiano Ronaldo recently making the move, there’s no doubt plenty of eyes will be focused on that league this season. Kwese also exclusively offers a number of American sports and this is both a blessing and a curse. For example, Kwese has the exclusive rights to air NBA matches and though this is a great thing and gives them some content DStv does not have there is one minor problem. American sports are not as popular this side and the issue of timezones also affects viewership. I’m a big fan of basketball but I will also confess that during the time that our Kwese subscription was running, I never watched a single NBA game live. Why? Because the games start at odd hours and I would rather be asleep or working on something else than be watching an NBA game at 3am. That’s just me but I feel that’s the conundrum many viewers also face and this also applies if you’re a fan of baseball (MLB) or american football (NFL). It’s exciting to see a bit of sparring between the two satellite broadcasters and I’ll definitely be interested to see if Kwese will respond? The bigger question though, is can they respond, as DStv is simply stating facts and facts that many seem to agree with. Kwese did not secure the French Lique 1 rights. So the report above is inaccurate.